Spin Station Casino Review 2019 | Read THIS Before playing! Spin Station Casino comes from the same group that brought you Spin Rider and Casimbo, which can only mean one thing: an enormous welcome bonus! The bonus on offer for new players will certainly tempt you to make at least one deposit here, and you won’t be disappointed with the selection of games you find within. We are going to give you the scoop on what you can expect to find behind the virtual doors of Spin Station Casino, and we don’t think you will be disappointed! WHAT IS Spin Station Casino? This all action casino spun into action in 2016, and is now one of a stable of online casinos operated by Caddell Limited NV Casinos including Spin Rider, Miami Dice and The Grand Ivy Casino. In terms of design, this is not the best of the bunch although it certainly has a lot of things going for it. You will find hundreds of games from some well-respected game developers, and a very chunky welcome bonus which includes 200% on your first deposit. The loyalty plan is open to all and delivers decent rewards, and when allied to the other plus points makes Spin Station a good all-round gaming option. The Caddell Ltd Casino Group have established a business model which involves attracting new joiners to their casinos with a hefty welcome bonus. This winning model is rolled out for Spin Station, where you can claim a very generous £4,000 in bonuses if you max out your first three deposits. The first deposit bonus in particular is a juicy one, as it offers you up to £3,000 based on a 200% deposit bonus. There are also free spins thrown in on three of the most popular slots on the site (or anywhere else for that matter) if you make three deposits. The VIP Loyalty scheme is a rewarding one and it is open to everyone who joins the site. You will also find regular promotions and prize giveaways for existing players. There are not a huge number of payment methods to choose from at Spin Station Casino, but what is available ought to be sufficient for most. Visa and Mastercard debit and credit cards are many people’s first choice, but bear in mind that withdrawals to Mastercard are often not possible outside of the UK and Ireland. In that case if you deposited via Mastercard you would need to withdraw to your bank, which takes 3-7 working days. The same applies if you choose to deposit using Paysafecard. Skrill and Neteller are very popular electronic funding options, and they work in the same way as PayPal, although the latter is not available. Note that there is a weekly withdrawal limit of £5,000, which will only affect high-rollers and big winners. It is always important to be able to contact an online casino when you need to; after all, your money is invested with this site. At Spin Station you can get in touch at any time of day or night as live chat and email support are available 24/7. The site is rated as being secured and is covered by respected regulators from the UK and Malta. Customer support staff are reportedly professional and polite, and able to deal with any issues raised with a minimum of fuss. 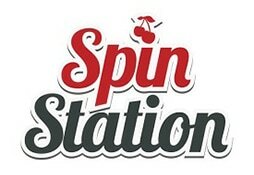 We are not convinced by the theme of this website – spin station, space station? – but if you disregard appearances you are left with a high-quality online casino gaming experience. The welcome bonus is sure to attract lots of new players, especially that juicy 200% matching first deposit. The casinos owned by this group are famous for their tempting welcome bonuses, which has made them very popular in a short space of time. We also enjoyed the selection of games from top designers, including a very good live dealer section, and that rewarding loyalty programme is a definite plus point. We have taken a couple of points off for factors such as the unimpressive site design and a rather demanding wagering requirement, but all in all Spin Station casino is still a very good landing spot if you are looking for a new casino to try. That 200% bonus may be hard to make withdrawable, but surely it is worth taking advantage of such a generous offer at least for one deposit. This is definitely a good casino, albeit one which could benefit from a design upgrade.